UPDATE: The printable below has been updated to include a label for 2017 and 2018! Happy New Year friends! It’s the time of year for setting intentions and this is one I think even the busiest, mom-iest of us might be able to tackle in 2016. 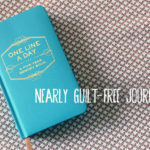 I’ve always been quite a journaler, but since having kids, some of those more time-consuming daily intentions have been replaced by other daily rituals–like keeping my kids alive. Still, there’s something I really miss about how flipping back through a journal can trigger memories that have long since been forgotten. A former creative director I worked with used to call this “life within the cracks.” Is the little things that comprise our days, months and years that often just dissolve from our memories in favor of the big, broad strokes. The way you and your husband became obsessed with a midnight snack and ate it every night for a month straight (ahem…we’re those people) or the day your son insisted on wearing his pajama pants to school (backwards, of course). My hope is that the jar serves as a time capsule of sorts that will transport us back to specific moments in 2016 that mattered to the humans we were at that point in time. 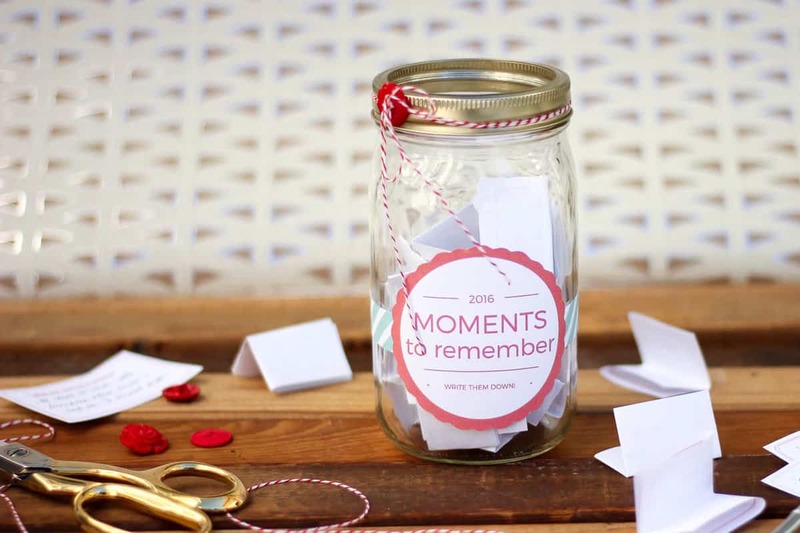 I think the key to having a jar that’s overflowing with memories at the end of the year is having some ideas ahead of time about what you plan to document. I put together a free printable with lots of helpful prompts that you can download to make sure you never lack something to write about. If you’d like instant access to this subscriber-exclusive download (and all the other past and future freebies! ), just enter your email address at the bottom of this post. Simply download and print the label, cut it out and attach it to your jar. Then head off to make some memories! Snazzy blog photos can make it look like some people are doing it all (effortlessly!) while others of us (me!) are barely holding it together. So whenever I can, I like to introduce a little reality check in the form of a very un-Pinterest-worthy detail from my perfectly imperfect real life. My hope is that it’s a helpful reminder all of us that NO ONE is nailing it all the time. I was writing this post this morning in our living room while baby Quinn played next to me on the floor. When she started to get fussy, I picked her up and snuggled her only to realize afterward that somehow she had managed to poop all over the rug while she was playing. Usually, I try to include a photo in these Reality Checks, but I figure you can use your imagination about this one. Hi! I love this idea, and I’ve subscribed to your website (yay!) but I can’t seem to get to the ideas and prompts printable. I’ve entered the password but I can only get to this page. Can you please help? I’d love to start this with my family soon! Welcome to the Crew! I’m so happy to have you and I’m sorry you’re having trouble. 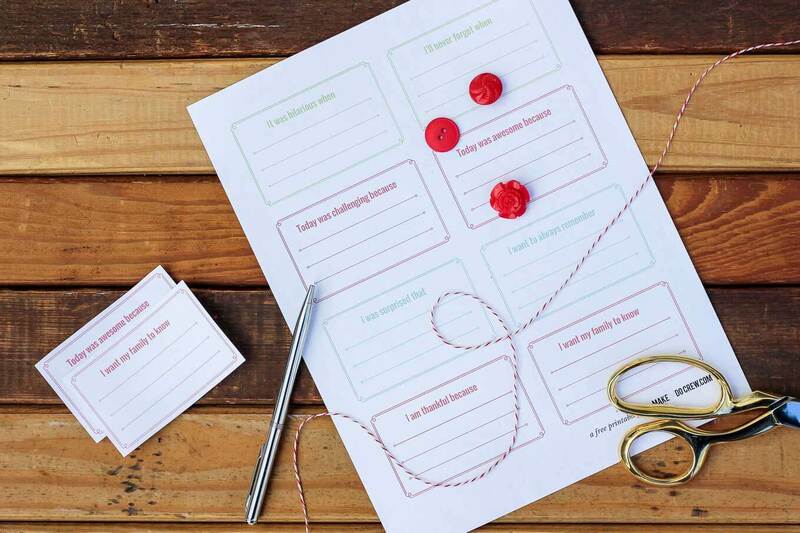 I’ll email you the printables right now so that you and your family can get started! I’m hoping you can tell me a little more about where you ran into an issue so I can fix it. After entering your email address, you should have gotten an email to confirm the subscription. Once you click that link, you should get an email with the PW for the Vault. 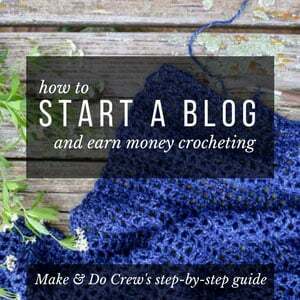 (That page with the printable (and all other freebies) is MakeAndDoCrew.com/exclusive-resources.) Can you tell me where in that process you encountered an issue so that I can help troubleshoot it? Thanks so much for reading M&DC, Laura. Happy New Year! Hi! I just got the email with the printables, thank you SO much!! Thanks so much – I’m printing these to do tonight! Thanks for clarifying, Laura. It was a tech issue on my end. Totally my fault. Let me know if you need any further help. Thanks Laura…your right they didn’t show up. I printed some…they are cute. 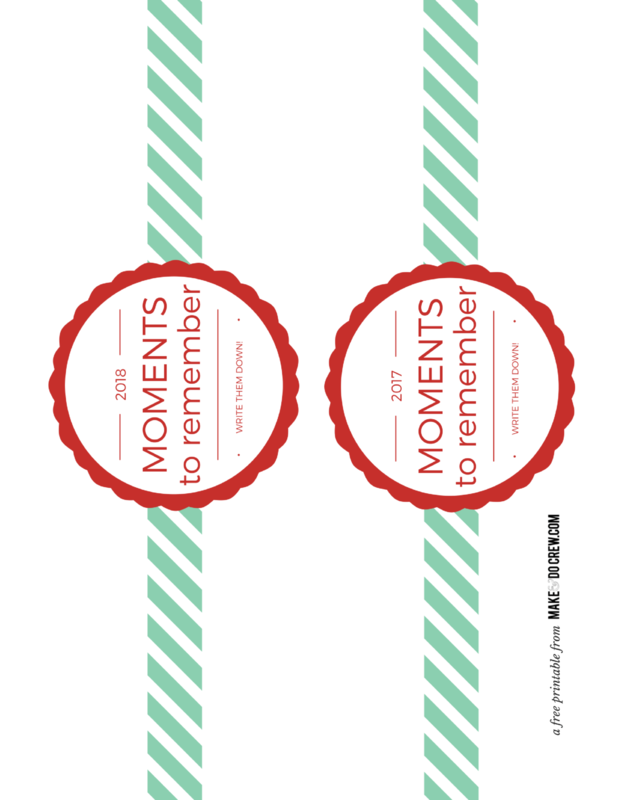 I would love to make some of my own printables to share…just need to know how to make them?? 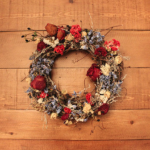 Shelly–You could check out Canva.com if you’d like to start making some printables. It’s a website where you can design just about any type of image. (And it’s FREE!) I use it for a lot of the images with type you see around the blog, as well as for some of my printables. I have also had the same problem, I just seem to keep going round in circles! You got it, Emma! They should be waiting for you in your inbox. I’m so sorry you ran into trouble this morning. They are in The Vault now, but I’ve also emailed you so that you can grab them directly. I am a brand new subscriber. 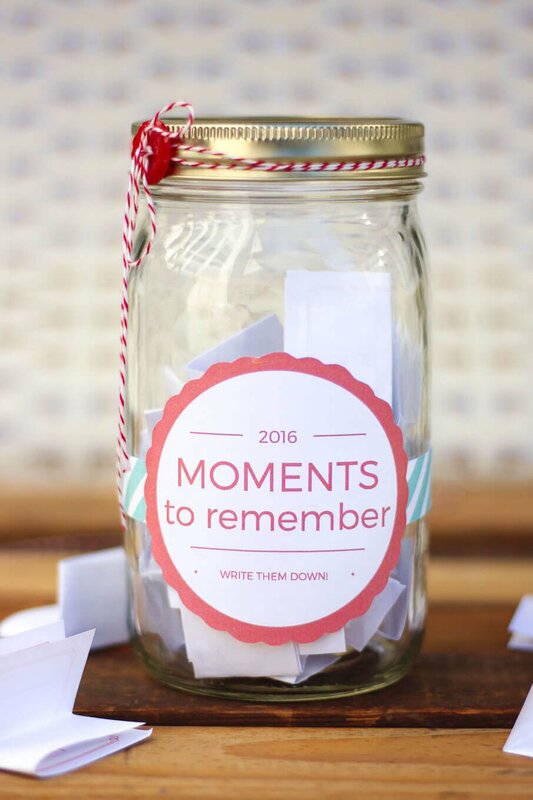 I cannot seem to find the memory jar printables. Can you tell me where to find them. Thank you Jess? Sorry for the trouble and please let me know if I can help you in any way. Oh thank you very much Jess. 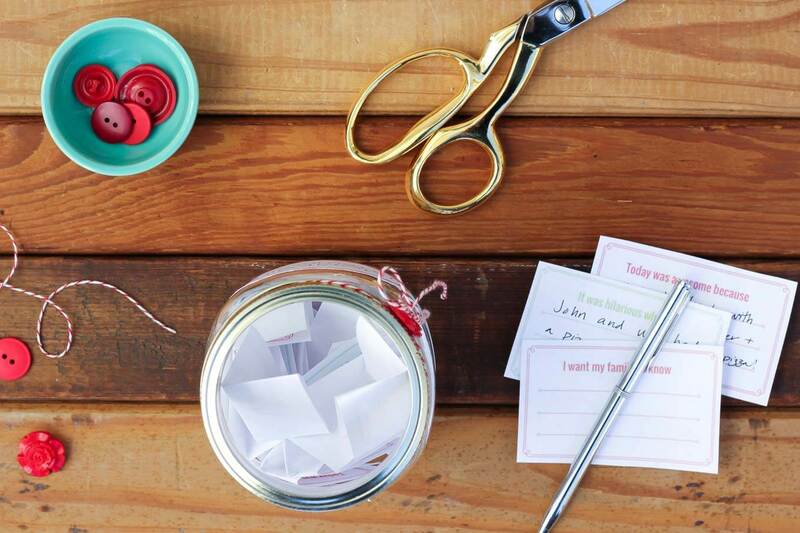 I just discovered your Memory Jar Prompts and think this is a great addition to journaling! Can’t wait to get started. I noticed that you said that you included a Jar label for 2017 but when I downloaded the pdf, there were two labels for 2016. Do you have another label available for 2017? Thanks so much for your ideas – fun to do! Gotten to know your great idea from my friend but I can’t seems to download the printable even after keying the password. Please help. Once you subscribe, the password is in my initial email. It’s case and space sensitive and if the PW page is just refreshing, it means that the PW hasn’t been entered exactly correctly. Have you gotten that far and made it into the Vault? 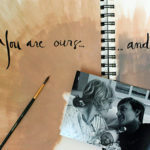 Once you’re in, the link to the printable is directly underneath the photo of the project. Click on that link and it will open the pdf in a new window and you can right click it to download it or print it directly from there. Hope that is helpful. Let me know if you need more details. So I’m having the same problem. I keep getting looped to the same things as the people above me. I have signed up and I have checked my spam folder. Not sure what to do. Also, since we are not in 2016 any more can you change and update for me. (If I can ever download properly. I’m sorry, I don’t currently have a 2018 version, but I will add it to my list of things to create.